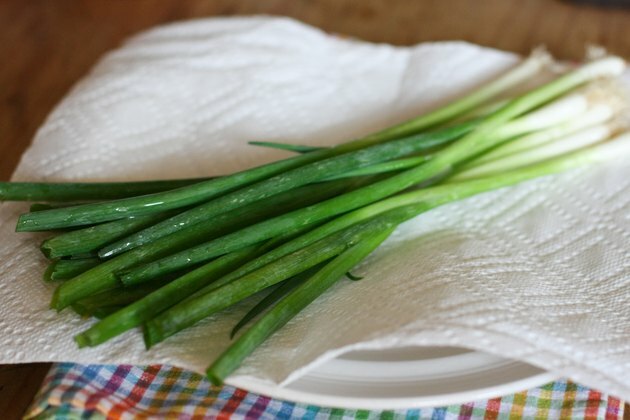 Unlike many other vegetables, green onions do not require blanching, a process of boiling rapidly for a few minutes and plunging into ice water, before freezing. Green onions need very little preparation prior to freezing, but the University of Florida IFAS Extension warns that frozen green onions will not remain crisp. 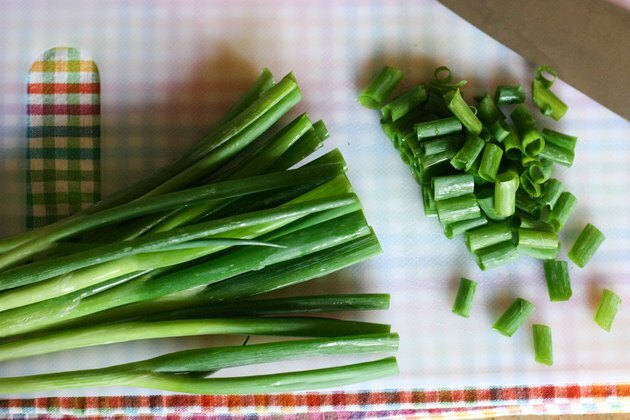 The texture of green onions becomes slightly tough after thawing, but they will retain their flavor. 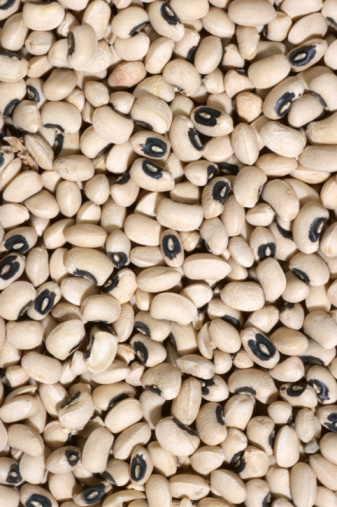 For the best results, use thawed green onions in casseroles and soups, but not where you desire a fresh texture. 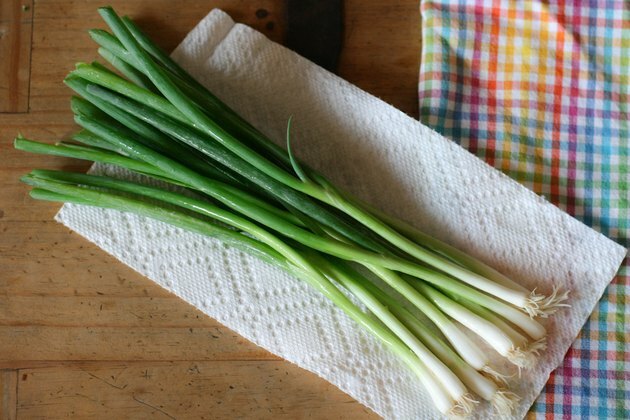 Rinse the green onions under cold, running water to remove any dirt. After rinsing, transfer the onions to a plate lined with paper towels. Pat the green onions dry, removing as much excess moisture as possible. 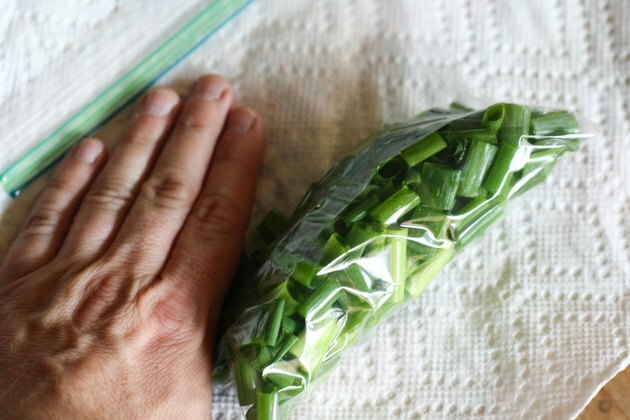 Freezing green onions while they're wet may cause freezer burn. Chop the green portion of the onions, and the bulb if desired, into small 1/2-inch pieces with a sharp knife. Discard any damaged or yellowed pieces. 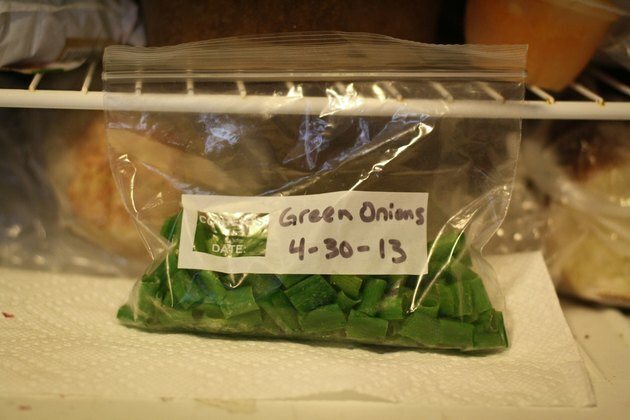 Put about two cups of the chopped green onion pieces into pint-size zipper-closure freezer bags, and label with the date and contents. Squeeze out as much air as possible, and seal the bags. Place the sealed and labeled freezer bags into your freezer immediately. 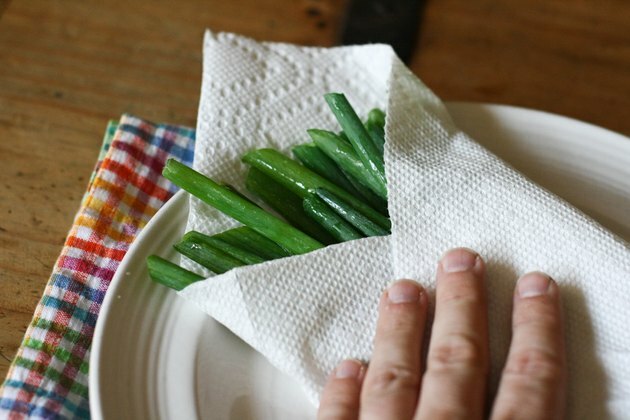 Use frozen green onions within six months.